Poulton Forum is a regular public meeting, where you can find out what’s happening in your local area. 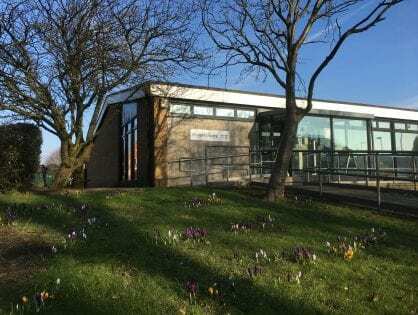 Poulton Forum is a regular public meeting where everyone is welcome, to find out what’s happening in the Poulton area. For a long time, Poulton Forum met four times a year. However, in the absence of offers to help run them, there are now two Forum meetings a year, in February and August. Lesley Middleton (Chair of Poulton Forum) will continue to send the various updates and other information to the email distribution list. It will always be possible to set up an ad hoc meeting if a significant issue crops up. Visit Poulton-le-Fylde has archived the minutes of Poulton Forum, free of charge, from the very first meeting. Notices for forthcoming meetings are also posted and shared here. Notes of previous meetings are all to be found here. The Poulton and Carleton Residents’ Association is a voice for the area. They host the Forum meetings which is a chance for you to find out what’s happening and to voice your opinion. The new Poulton Forum held its first meeting on 7 November 2011, when St Chad’s Church Hall was filled to capacity. The general public turned out in force to support the continuation of this popular public meeting. 111 members of the public were in attendance, including a number of local Councillors. Local Area Forums were originally run by Wyre Strategic Partnership and there was one in each town of the Borough. In 2011 a decision was made to end this arrangement because in many parts of the Borough attendance had dwindled to very small numbers. There were also other groups offering a similar function and they could continue to provide links between the general public and public sector. However, Poulton Forum was probably the strongest group. It was consistently well attended with audiences often approaching 100 people, so the decision was made to continue with it. 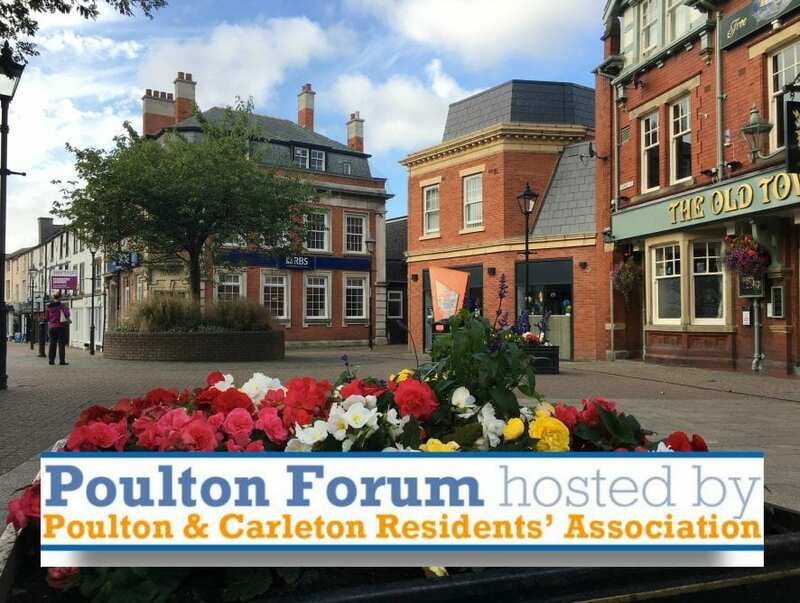 A motion was passed that Poulton Forum would continue under the name of Poulton and Carleton Residents’ Association. 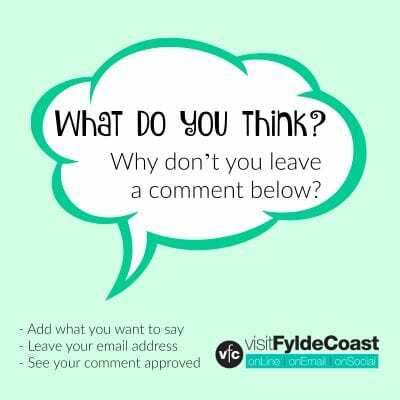 It provides a voice for the community and a body that Wyre Council can consult with, along with other major developers. Under Wyre Strategic Partnership, Lesley Middleton Chaired the Forum with Bill Waller as Vice Chair. In the face of popular public demand they continued to forge ahead and organise the same kind of meeting for the people of Poulton. Bill explained why he and Lesley felt it important to continue with the group. ‘The area Forum was often the only time that the ordinary man in the street got to meet their Ward Councillor, or the managers and leaders of their public services. It’s important that there should be easy access to community leaders and to keep people up to date with the things that affect them’. The meetings are steered by the general public, with speakers invited on very local and important matters. Do you have any concerns, good news to share, or things that you think should be discussed at a public meeting? Get in touch (details above) and make suggestions for forthcoming agenda items. I run the Business Owners Network, which is a support network for small business in the area. We currently have 180 members in our online Facebook group, but our monthly meetings are held 7-9pm at Booths Cafe in Poulton on the last Tuesday of every month. We work to support OJ’s Care which is a charity supporting Autistic children and their families and carers, and wondered if there’s some way of working together with the forum?